At the end of 2016, construction industry statistics found that the divide between women and men in the construction industry was 13-87. 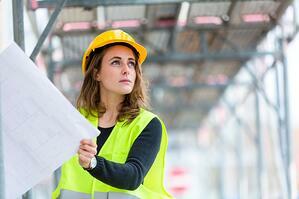 A survey by Keepmoat further revealed that only 13% of women aged 16-35 would consider a career in construction. This lack of female interest in the construction sector is a worrying trend, especially taking into account that there is predicted to be a shortfall of 35,000 engineers in the UK by 2050 – a vocation crucial to the continued success of the construction industry. If female members of the population were more inclined to search for jobs in construction companies, it is likely that the sector would have a workforce large enough to sustain the country. Not only that, but promoting diversity and inclusion leads to increased profitability. Businesses in the top quartile for gender diversity are 15% more likely to produce better returns than their peers, according to 2015 research by McKinsey & Company. Therefore, to avoid this predicted talent shortage and maximise profitability, it is crucial that top construction companies across the UK actively encourage women to join their ranks and support events that promote women in the field such as Women in Construction Europe, taking place 5th - 6th December in Amsterdam. 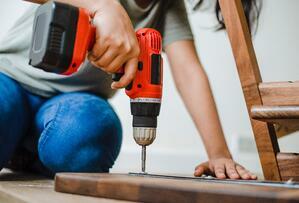 These are 5 of the biggest construction companies that are encouraging women to break new ground in the sector. Global construction giant Bechtel is in charge of Europe’s largest infrastructure project – Crossrail. The business has worked on more than 23,000 projects in over 140 countries in all seven continents and is a world leader for the support it gives female construction workers. Last year saw the number of senior level women at the company grow by 20% and, at graduate level, women were said to make up approximately 30% of Bechtel’s US college hires, where market supply is just 18%. 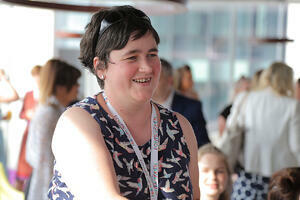 Bechtel employs more than double the UK average for women engineers. 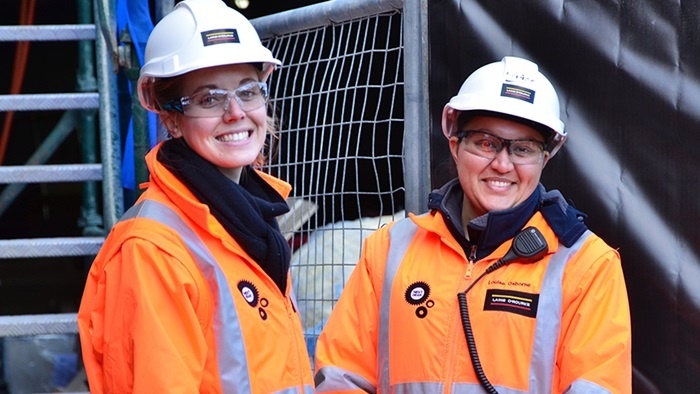 In addition to training employees about unconscious bias in the construction industry, the business runs a forum, Women@Bechtel, which provides workers with the opportunity to discuss their experiences as females in a male-dominated sector. Bechtel also won the UK’s Women in Science and Engineering (WISE) Diversity Employer of the Year award in 2015. Working with WISE, the company hopes to contribute to the goal of reaching a 30% female UK STEM workforce by 2020. Further afield, Bechtel has launched a women’s empowerment programme in Saudi Arabia where it has worked for 75 years developing landmark projects. 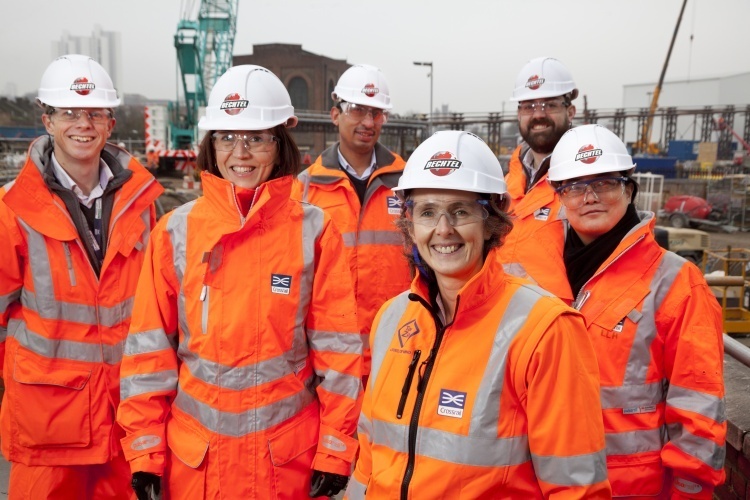 Bechtel’s Managing Director of Global Rail (pictured right centre) is a pioneer in her own right. A visible role model to the company’s female employees, Ailie MacAdam joined Bechtel as a graduate chemical engineer in 1985 and has worked there ever since. MacAdam was named among the Top 50 Women in Engineering for 2016 by The Telegraph, and frequently advocates for women in the sector. Cathal O’Rourke, Managing Director of the Australia Hub for Dartford-based construction company Laing O’Rourke, was appointed a Pay Equity Ambassador in 2017. He joins a large and prestigious network of business leaders committed to gender equality. “Last year we conducted a gender pay gap review across Australia and I am proud to say we now have pay parity across the organisation and have filters in place to ensure men and women’s salaries do not diverge,” O’Rourke stated. The company, which helped to build parts of Ascot Racecourse and Heathrow Airport Terminal 5, has a number of global initiatives in place to ensure gender equality is achieved in the workplace. 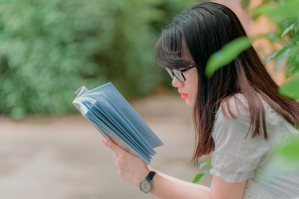 These include flexible work programmes, 26 weeks paid parental leave, Keep in Touch and Return to Work coaching schemes, a Connecting Women network, and a school engagement programme called Inspiring STEM+ designed to encourage girls to take STEM courses at university. In addition, Laing O’Rourke has partnered with the National Association of Women in Construction (NAWIC) to launch the 2018 NSW NAWIC Mentoring Programme, which enables women who have recently entered the industry to connect with mentors based on age, experience, and goals. The business has launched a number of initiatives in pursuit of its 50:50 gender parity target such as its Returner Programme and equality forum. 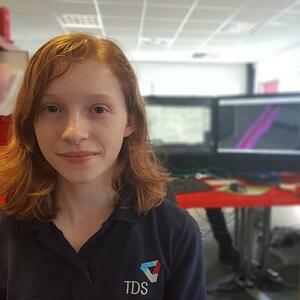 Tideway has also joined the government’s ‘Your Life – Born To Engineer’ campaign, aimed at increasing the number of young people – especially women – in STEM careers. 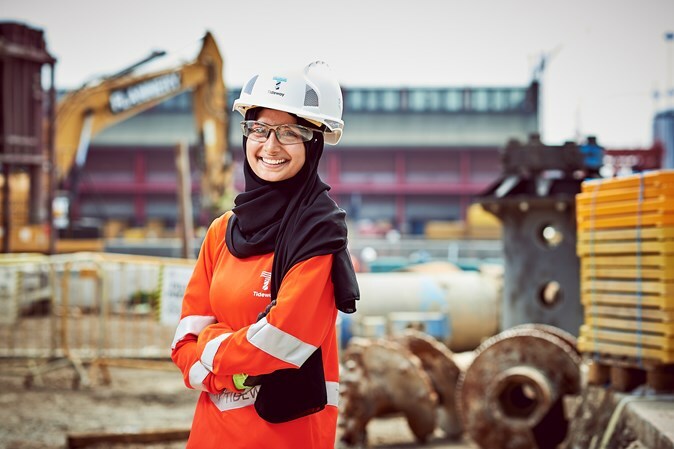 Female construction worker Leena Begum, who works as a Health, Safety, and Wellbeing Coordinator for the west section of the Thames Tideway Tunnel, has designed Personal Protection Equipment (PPE) for Muslim women at Tideway. After encountering difficulties working in the protective clothing provided, she decided to take matters into her own hands, designing two items for women on construction sites who observe the hijab and burka. It is the first time that PPE has been specifically designed for Muslim women in construction. This move comes after Tideway introduced maternity-wear for its female employees working on the 25km ‘super sewer’ earlier this year. This innovative company is certainly a trailblazer in the field. 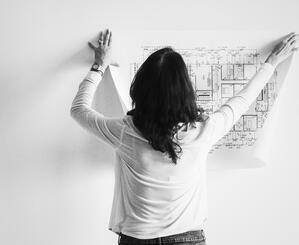 The construction sector spends £3.13 billion on blueprints every year. These plans often need to be reprinted when an error is found, or an update needs to take place. 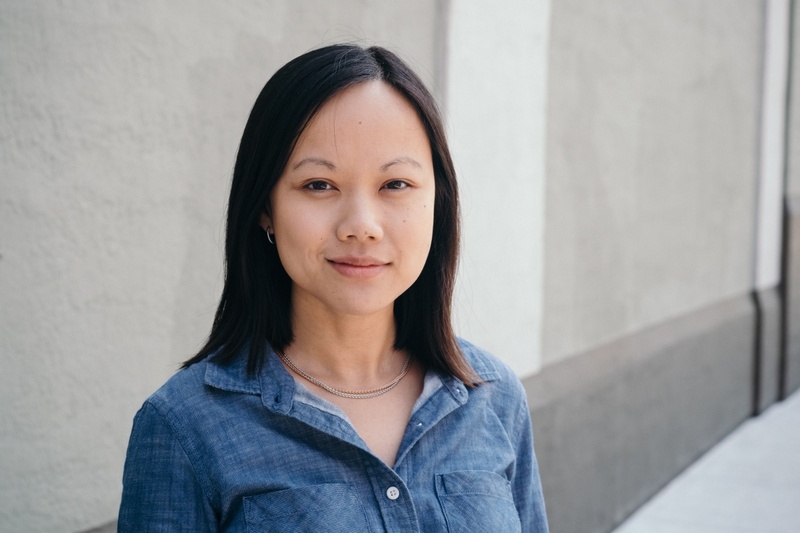 Led by Tracy Young, PlanGrid’s product digitises blueprints to make construction work easier and more efficient. In 6 years, PlanGrid has grown from a small San Francisco start-up into a company that supports over 500,000 construction projects. Young has been recognised for her leadership and ranked among the Top 50 SaaS CEOs for 2018. In 2017, she was also awarded the Rising Star of the Year award at the Construction Dive Awards. 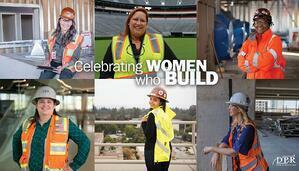 As a female CEO in construction, Young understands the importance of promoting gender equality. 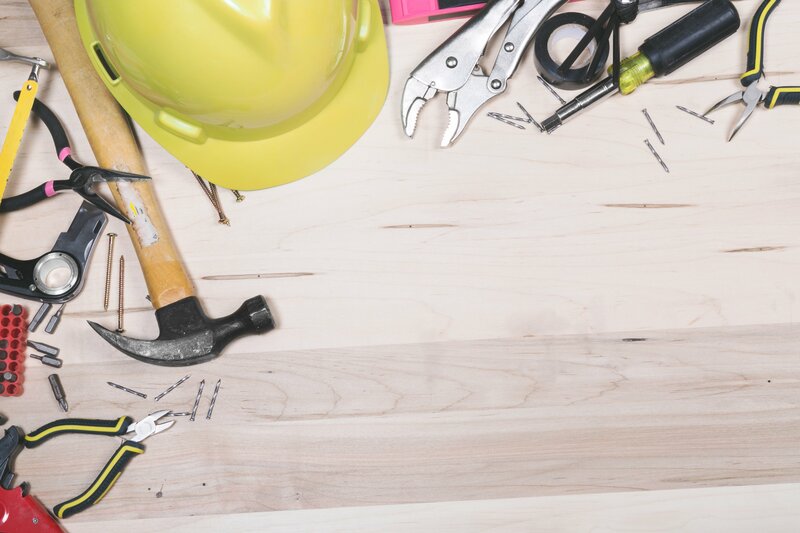 PlanGrid’s Construction Productivity Blog is a platform for fostering women in the sector and the company pledges that there will be a regular, comprehensive analysis of employee salaries to ensure men and women are paid equally. 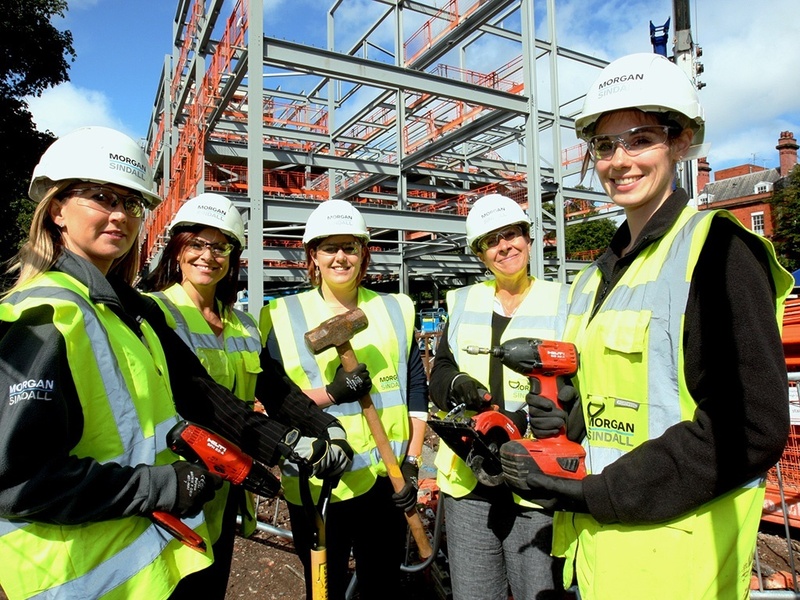 In 2015, Morgan Sindall’s female-managed project team was featured heavily in the press. A rarity in the construction world, this group of women (pictured above) led the building of St Hilda’s Church of England School in Sefton Park, Liverpool. The £15 million project secured three of the team positions as finalists at the Women in Construction and Engineering (WICE) awards in the categories Best Project Manager, Best M&E Manager, and Best QS. A CCS Bronze National Site Award for 2016 was also awarded for their work. Working closely with the school, Morgan Sindall provided female pupils with career days and other opportunities. Their work inspired numerous young women in the school, especially Katie Klaveness who was motivated to follow a career in construction after watching the female-led team in action. 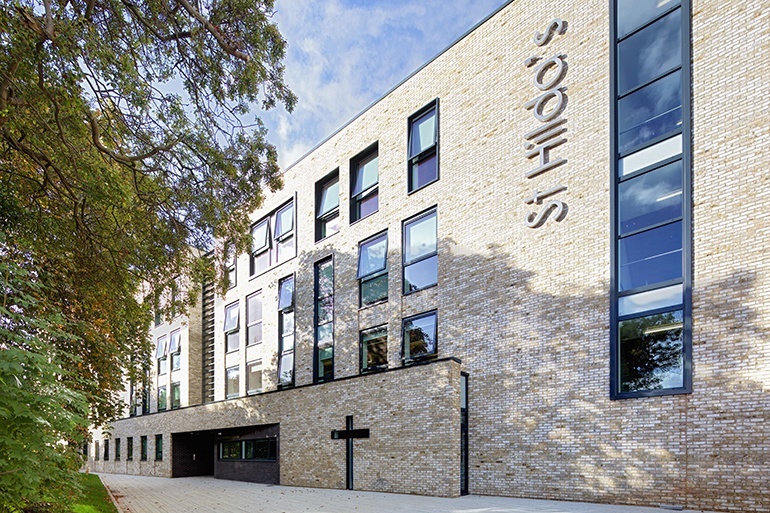 Morgan Sindall offered Klaveness a work placement at their £1 billion Paddington Village project, helping to bolster her university applications. The company also supports Women Into Construction, an independent not-for-profit organisation that promotes gender parity in the field, and has pledged to shrink its gender pay gap dramatically in the coming years. 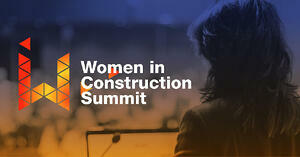 Women in Construction Europe is a two-day event taking place from 5th – 6th December in Amsterdam. This conference will inspire you with talks from industry leaders and enhance your skills with practical workshops, helping to drive change in the European construction sector. Featuring speakers from Atkins, Skanska, Bouygues, Arcadis, and many more, this event is a must for any women in construction looking to smash the glass ceiling.